Names: Hairy Honeysuckle is also called Pink Honeysuckle or California (Pink or Hairy) Honeysuckle. Hispidula means covered with bristly hairs. The common name, honeysuckle, comes from the fact that children enjoy sucking nectar from the base of the flowers for a sweet treat. The name Lonicera is derived from Adamus Lonicerus (Adam Lonitzer), a German botanist, author of the herbal, Kräuterbuch (1557). Relationships: Plants in the genus, Lonicera, are often twining vines but many are arching shrubs. There are about 180 species in the Northern Hemisphere, with about 100 from China, ~20 from North America, and the rest from Europe or North Africa. 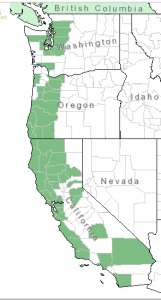 Distribution: Hairy Honeysuckle is native from Vancouver Island, in British Columbia to southern California; on the west side of the Cascades in Washington and Oregon; in the Sierras and coastal mountains of California. Growth: More often a sprawling, shrubby vine, it may also climb up to 3-18 feet (1-6m). Habitat: It grows in open forests, on drier south, or west slopes, but often grows in coastal riparian areas in California. Diagnostic Characters: Opposite leaves are variously hairy, sometimes smooth; with the terminal pair joined to form a disc. Pink (or yellow tinged with pink), tubular flowers are born in terminal clusters, accompanied by a pair of axillary clusters. The flowers are two-lipped with the lips about as long as the tube; curling back as the flowers open. Fruits are bright red berries. Stems are hollow. 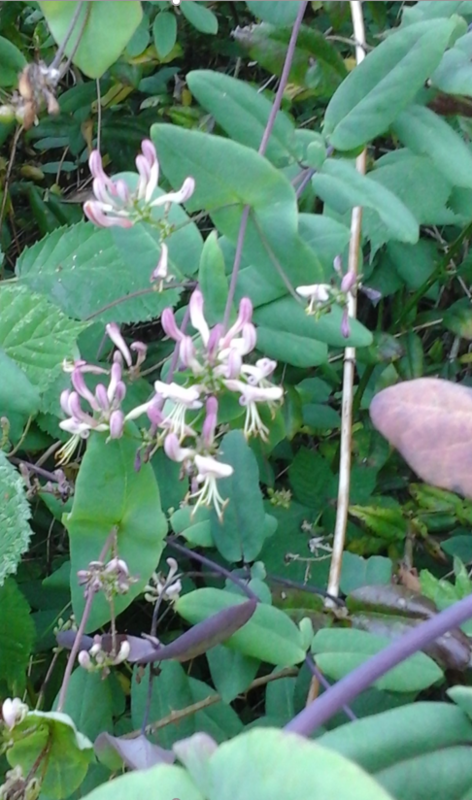 In the Landscape: Hairy Honeysuckle can be used as a ground cover on a dry slope or may be trained on a trellis. 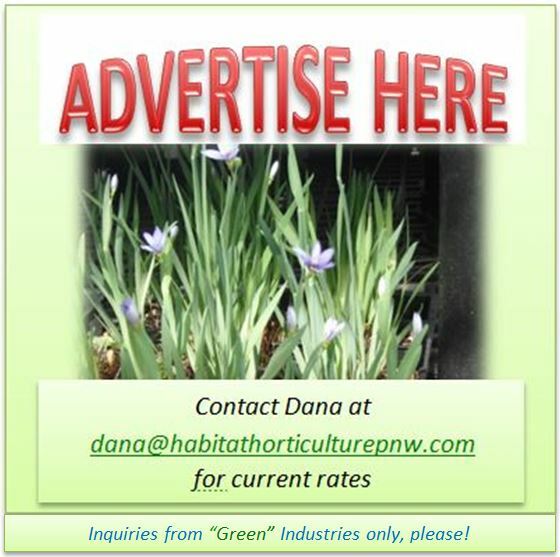 Its attractive, pink flowers are another hummingbird favorite, so it is also a good choice for a wildlife garden. Phenology: Bloom time: June-August; Fruit ripens: September. Propagation: Sow seeds as soon as they are ripe in a cold frame or stratify for 90 days at 40º (4º C). Cuttings root easily; they are best taken of half-ripe wood in July or August or mature wood in November. Use by people: Natives in California used the hollow stems for pipe stems and the burned wood ashes for tattooing. Use by Wildlife: The flowers provide nectar for hummingbirds. The berries are eaten by grouse, pheasants, flickers, robins, thrushes, bluebirds, waxwings, grosbeaks, finches, and juncos. Small birds may make nests within the twining branches. This entry was posted in Deciduous Shrubs & Vines on January 23, 2017 by habitatdana.